You~re totally Vagabound in this bad boy! Super soft, high rebound, molded EVA footbed featuring AEGIS antimicrobial additive. Hook-and-loop side closure for easy on and off. Happy U rubber outsole. Handmade canvas upper with canvas lining. Sanuk logo tag on the side. Vegan and Vegetarian friendly. Imported. Measurements: Weight: 3 oz Product measurements were taken using size 11 Little Kid, width M. Please note that measurements may vary by size. Weight of footwear is based on a single item, not a pair. 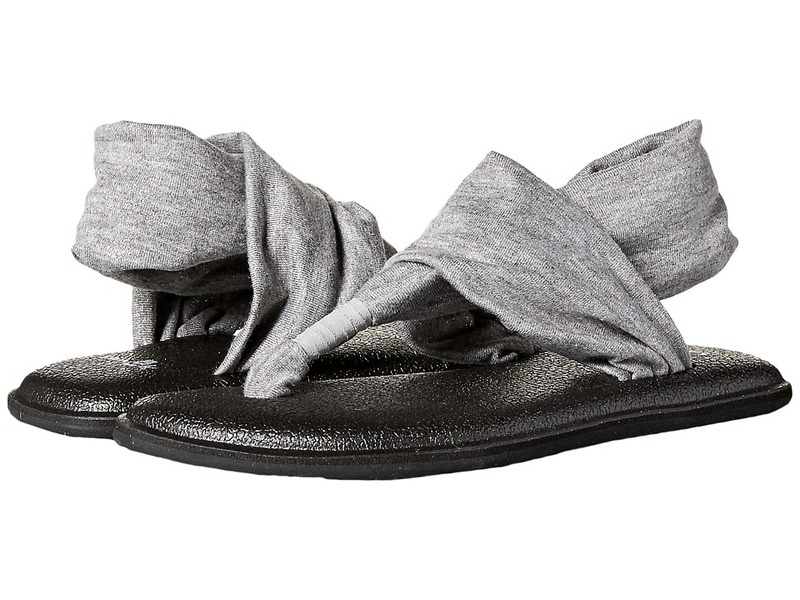 It~s just like sippin~ on a cold pop on a hot summer day... Footbed made from real yoga mat! Synthetic or textile strap with supersoft jersey liner. Rubber sponge outsole with repeat Happy U pattern. 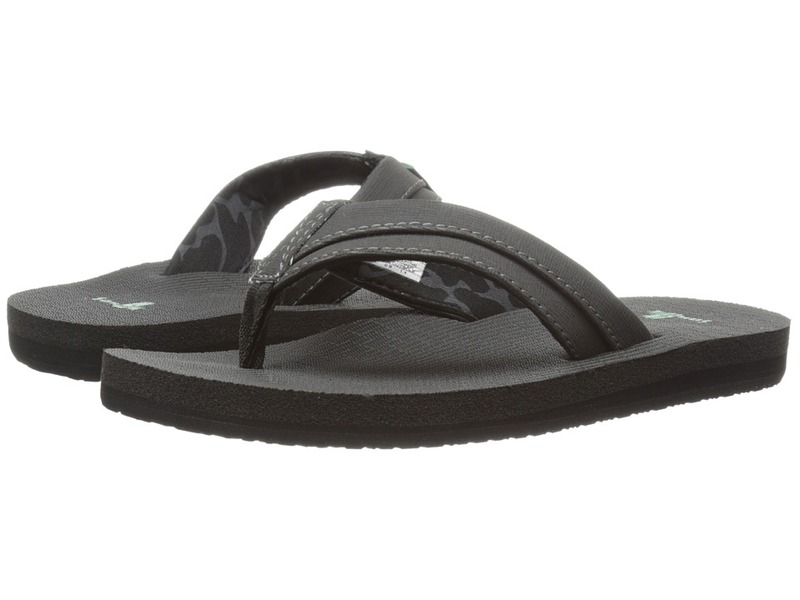 Sanuk logo on strap and footbed. Vegan and vegetarian friendly. Imported. Measurements: Weight: 4 oz Product measurements were taken using size 3-4 Little Kid/Big Kid, width M. Please note that measurements may vary by size. Weight of footwear is based on a single item, not a pair. 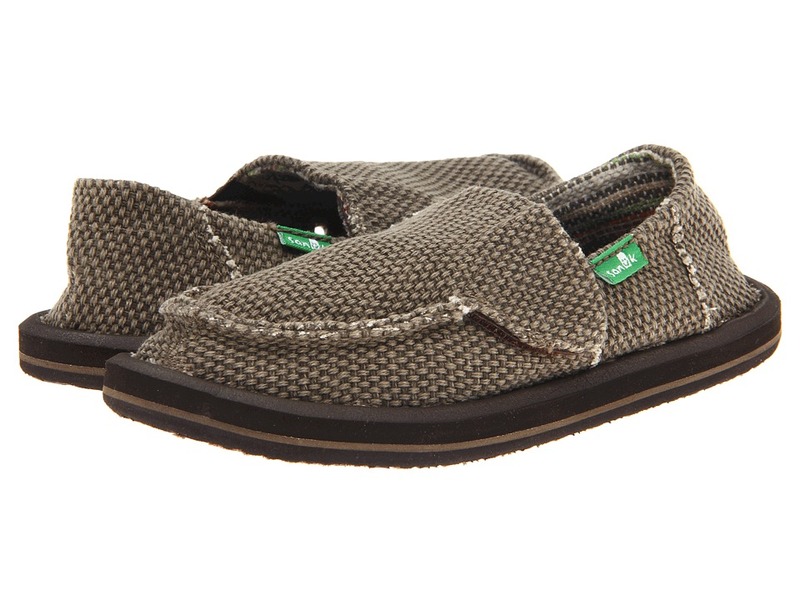 So soft and warm they~ll want to wander in the Vagabond Chill from Sanuk Kids! Handmade canvas upper with frayed edge and faux shearling lining. Super soft, high rebound, molded EVA footbed featuring AEGIS antimicrobial additive. Happy U rubber outsole. Sanuk logo tag on the side. Vegan and Vegetarian friendly. Imported. Measurements: Weight: 4 oz Product measurements were taken using size 1 Little Kid, width M. Please note that measurements may vary by size. Weight of footwear is based on a single item, not a pair. 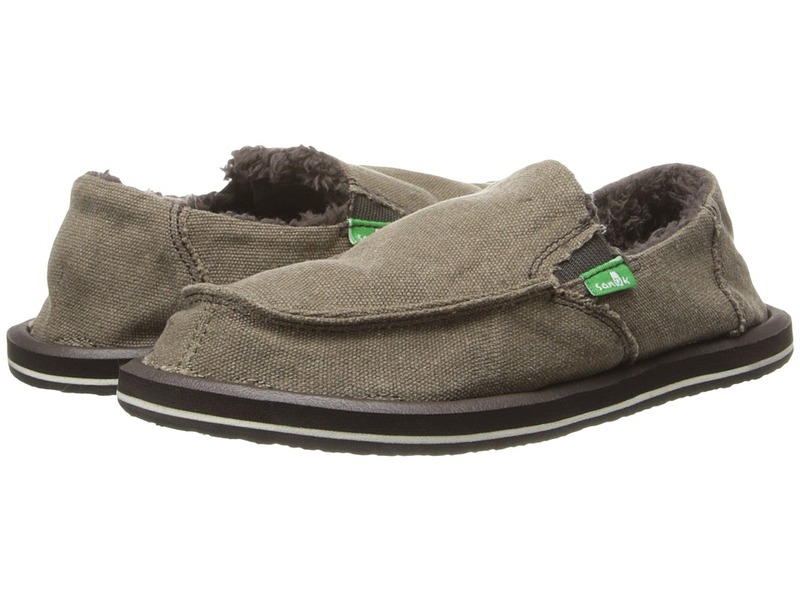 So soft and warm they~ll want to wander in the Vagabond Chill from Sanuk Kids! 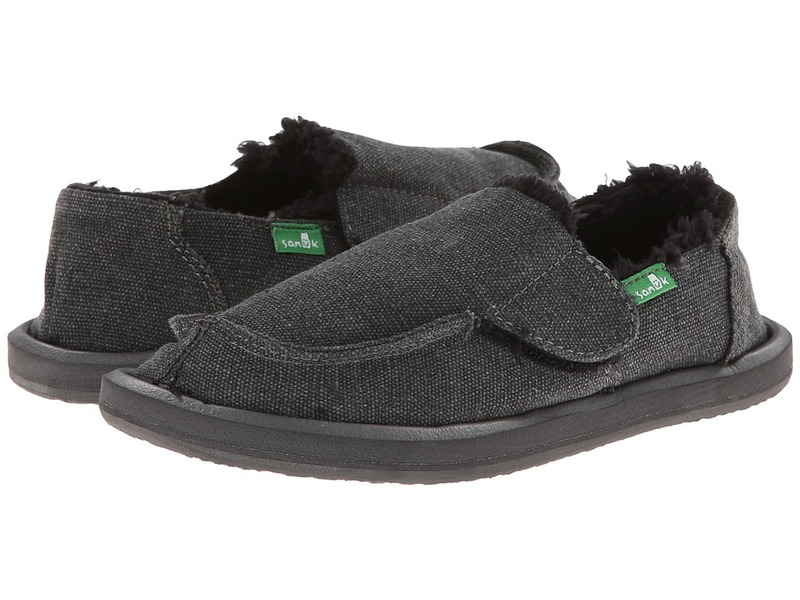 Handmade canvas upper with frayed edge and faux shearling lining. 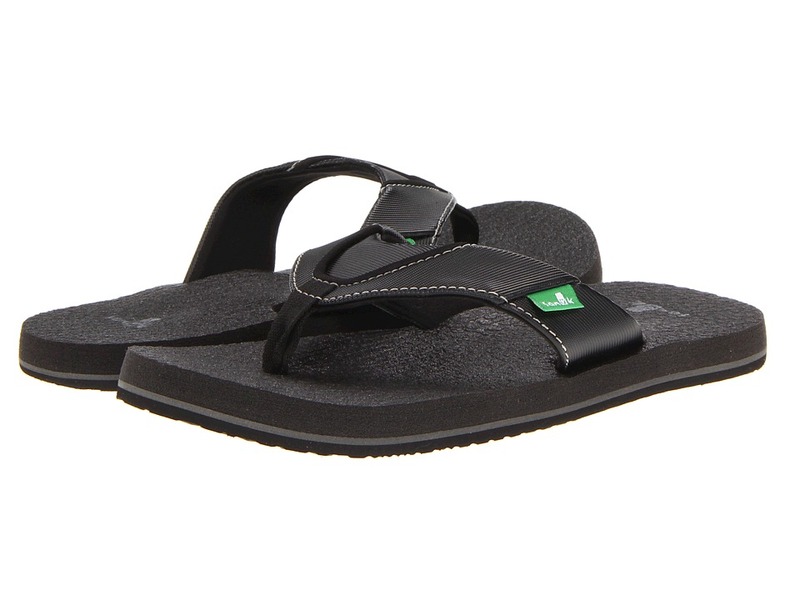 Super soft, high rebound, molded EVA footbed featuring AEGIS antimicrobial additive. Happy U rubber outsole. Sanuk logo tag on the side. Vegan and Vegetarian friendly. Imported. Measurements: Weight: 3 oz Product measurements were taken using size 13 Little Kid, width M. Please note that measurements may vary by size. Weight of footwear is based on a single item, not a pair. 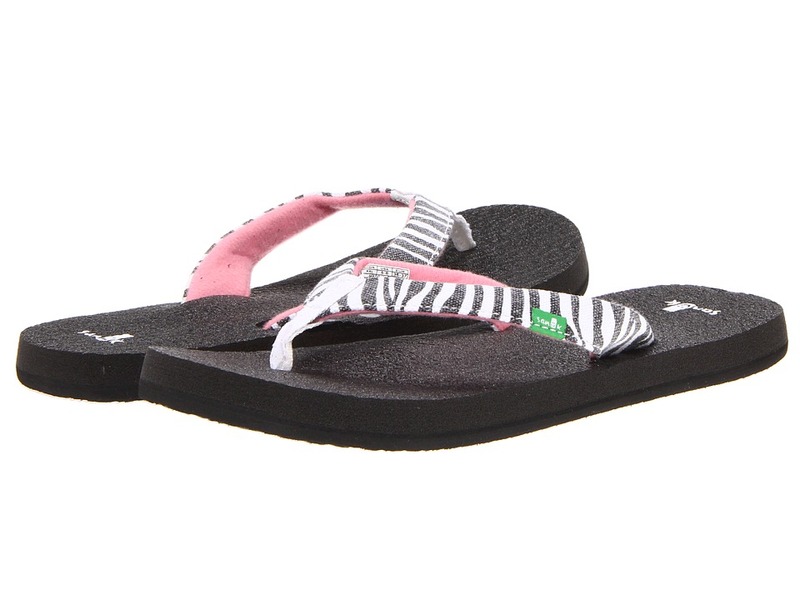 Your bubbly little one will love the sweet feel of the Rootbeer Cozy Light on their feet! Footbed made from real yoga mat. Layered synthetic strap with nylon webbing toe post for comfort. Supersoft jersey lining. Rubber sponge outsole with repeat Happy U pattern. Sanuk logo on footbed. Vegan and vegetarian friendly. Imported. Measurements: Weight: 4 oz Product measurements were taken using size 3-4 Little Kid/Big Kid, width M. Please note that measurements may vary by size. Weight of footwear is based on a single item, not a pair. 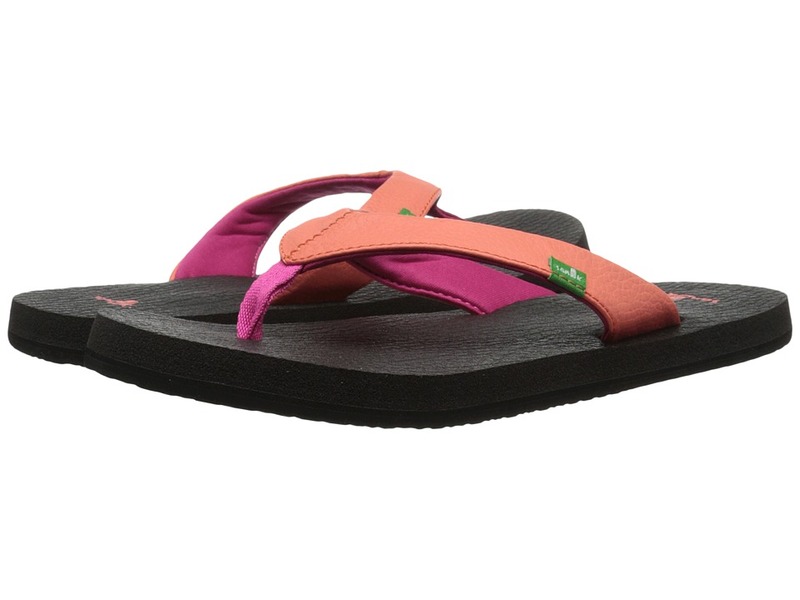 Your little one will shine in the Yoga Sling Bling from Sanuk Kids! New lightweight, two-way stretch sheen knit upper with sling comfort construction. 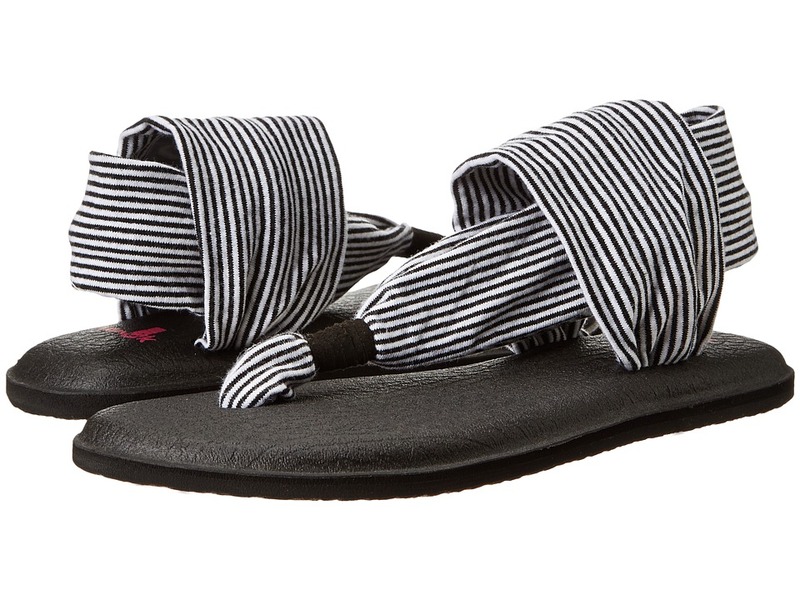 Sealed edge footbed made from real yoga mats. Happy U rubber sponge outsole. Vegan and vegetarian friendly. Imported. Measurements: Weight: 4 oz Product measurements were taken using size 2-3 Little Kid, width M. Please note that measurements may vary by size. Weight of footwear is based on a single item, not a pair.